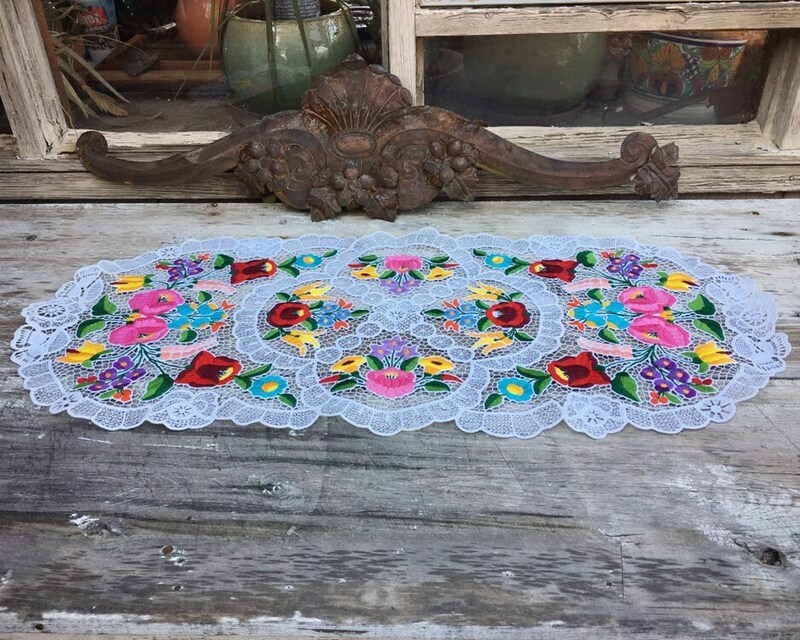 I was drawn to the color in this vintage hand-embroidered lace table runner, which came from an estate filled with folk art. 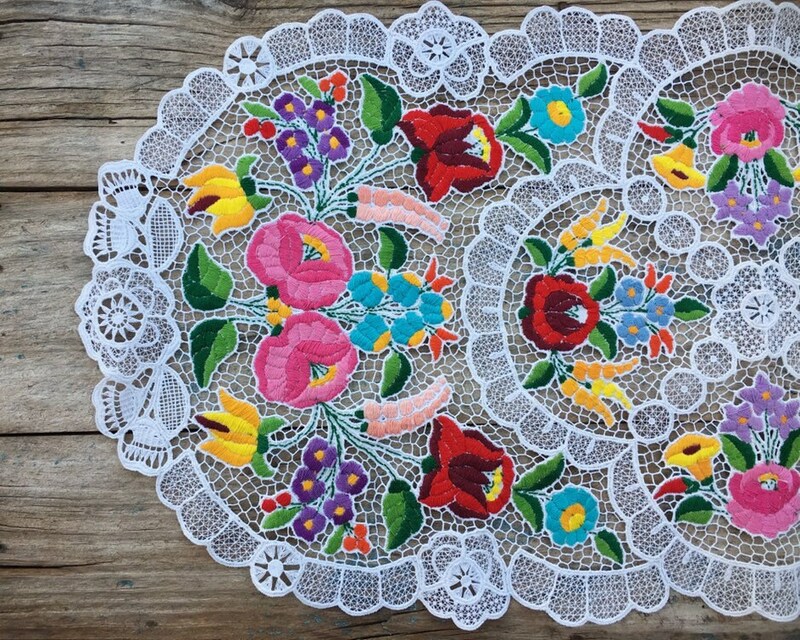 This piece comes from Hungary and is regional to Kalocsa. 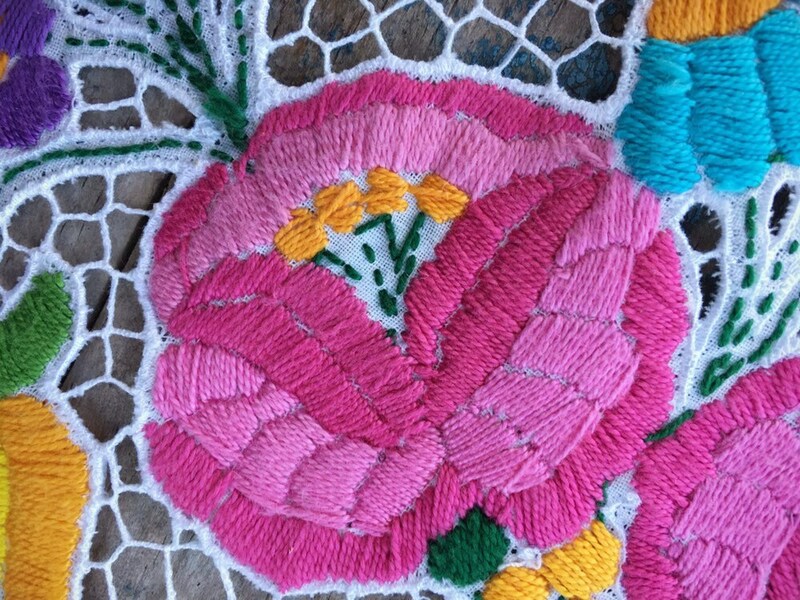 Folk artists use free hand drawings and mixed style of stitching. 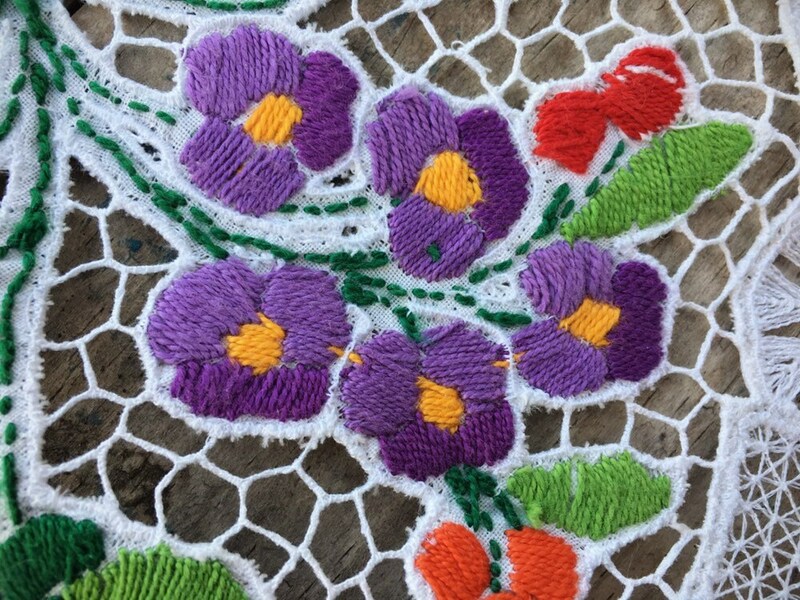 From a website about this form: "This also means that in its peculiar style it is not bound to any form, color or stitching technique. Even amongst the rhythmically repeated motifs we can find variations. 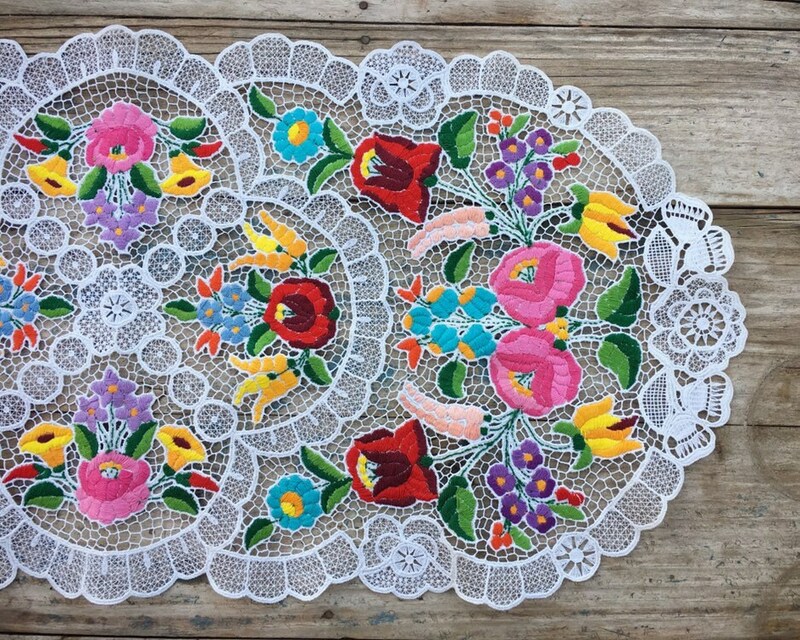 The character of the original folk embroidery of Kalocsa is, that in drawing and in color the same motifs twice can't appear. 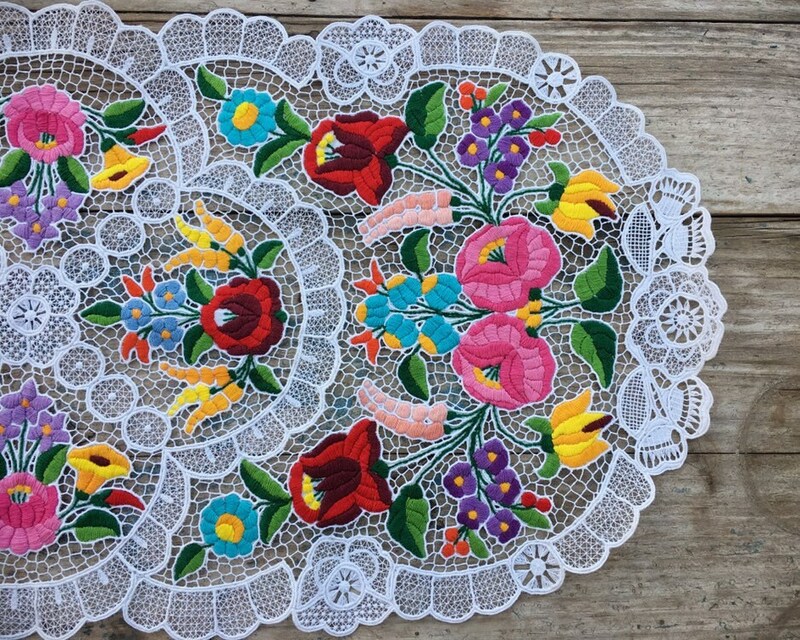 There is no well known folk artist in Kalocsa who will repeat exactly a motif. 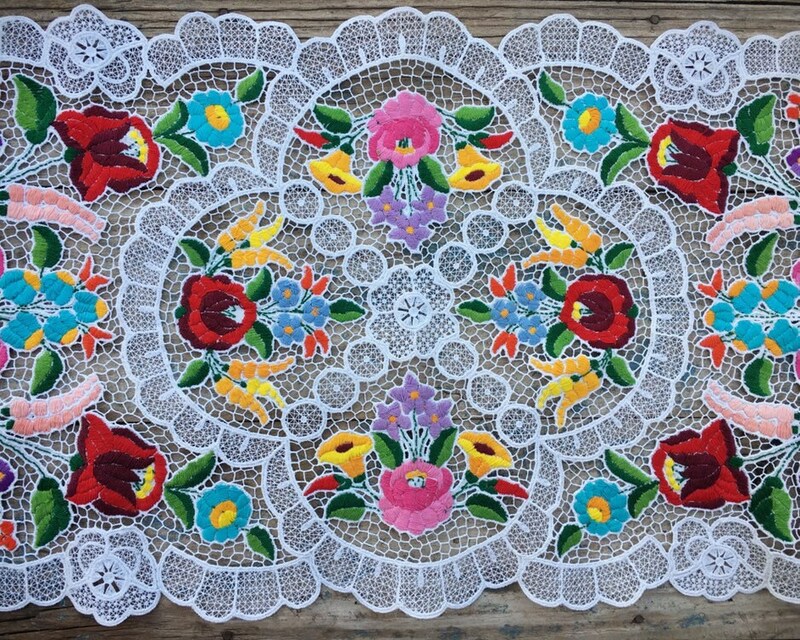 If on an embroidery of Kalocsa the pattern is symmetrical and the motif repeats itself it is not an original folk art. 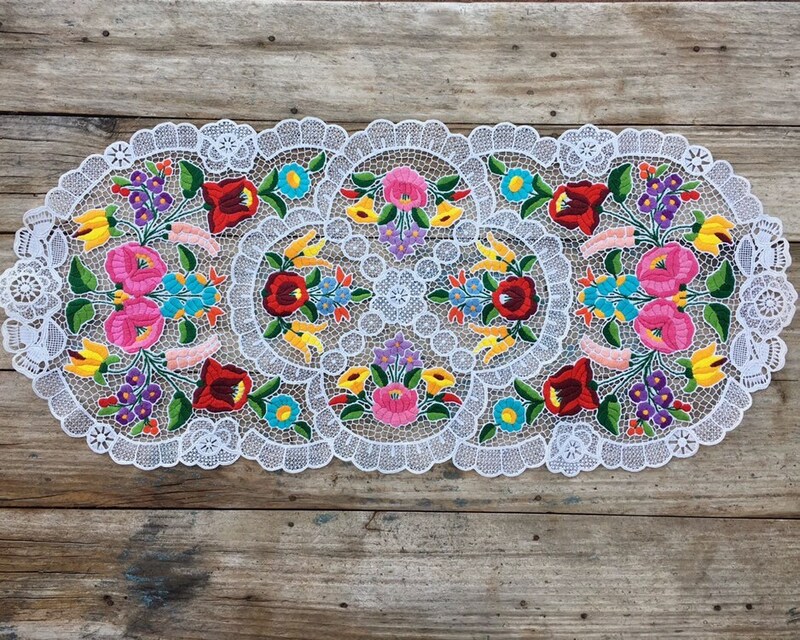 Even if a pattern looks symmetrical at first glance, when examined in details one can see differences in the drawing and colors of the pattern." 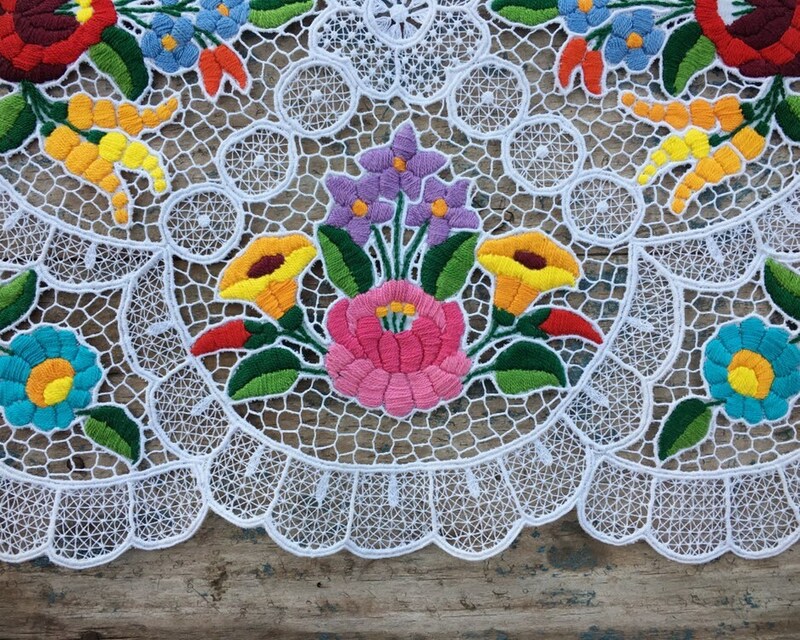 This white lace in this piece is detailed, and then the colorful embroidery adds large floral designs. 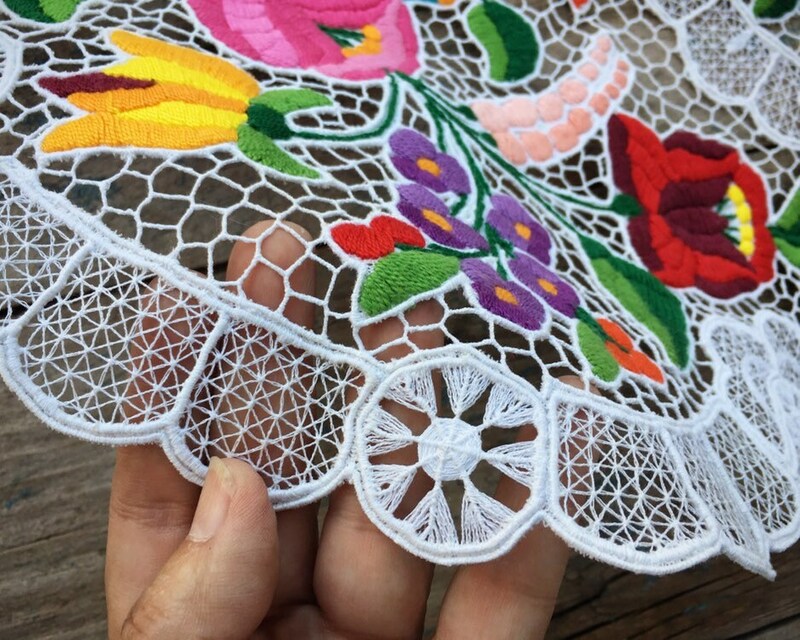 The white lace has a bit of discoloration from wear but was likely stored in drawers and brought out for special occasions. Should only be spot cleaned.. Measures about 16-1/2" wide by 36" long. Other than the slight discoloration along edges, is in good condition.